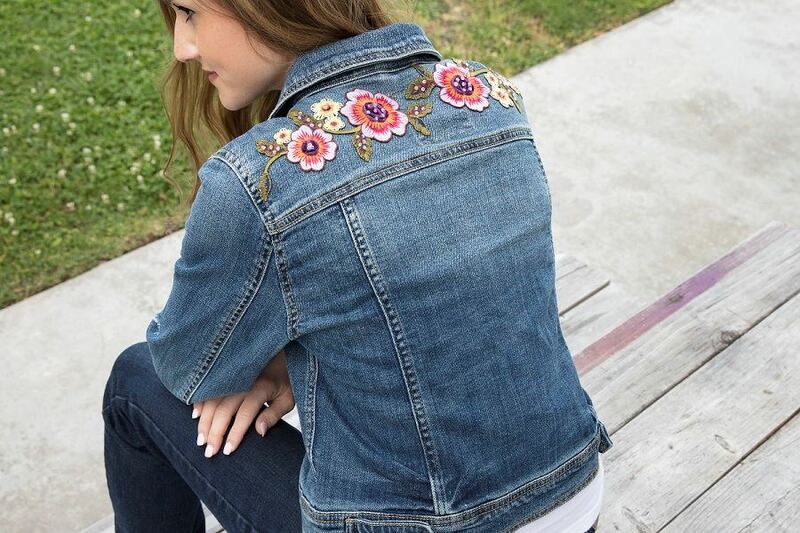 Denim is back and it’s making waves with DIY style patches. 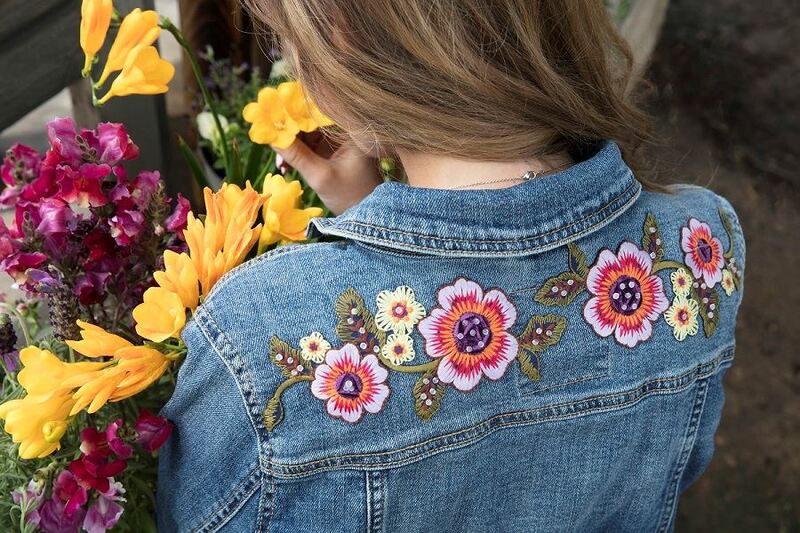 Embroidery patches on denim are super trendy right now and so cute, right? But it can also be a bit pricey to buy one of these jackets. 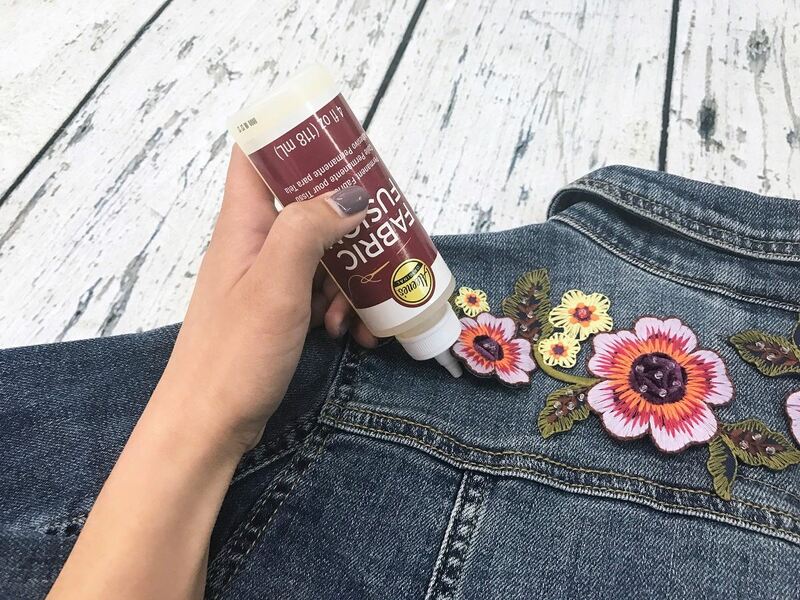 With a little DIY know how and Aleene’s Fabric Fusion it’s easy to achieve this look without breaking the bank. 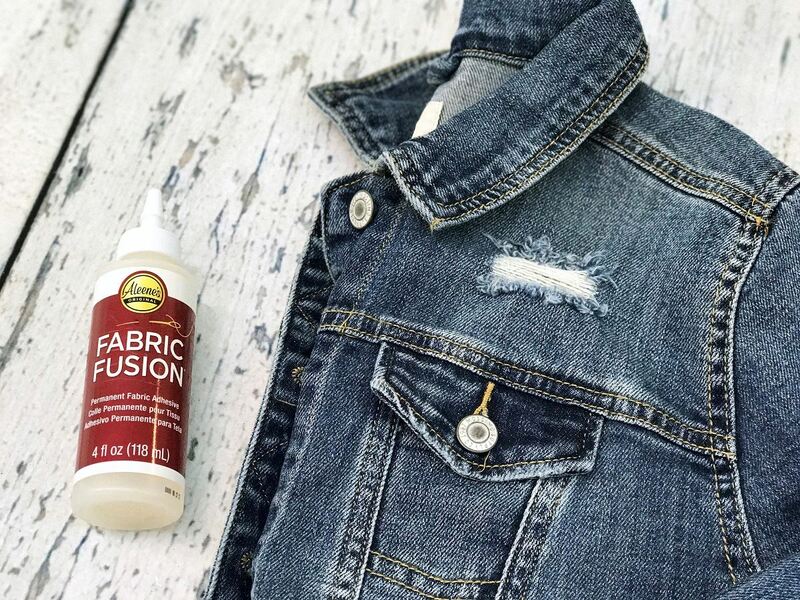 I like to prewash my fabric before adding glue just so that it’s clean and ready to go. 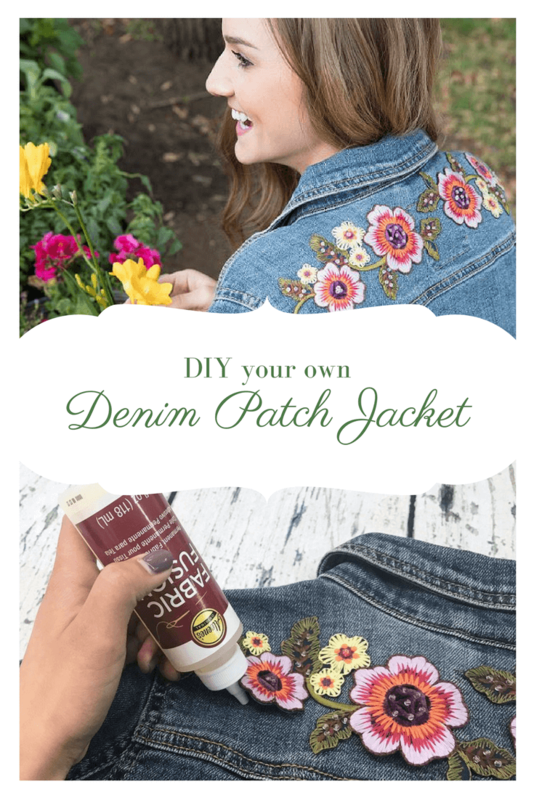 Once it’s dry, lay the jacket on a flat surface and smooth out the wrinkles. 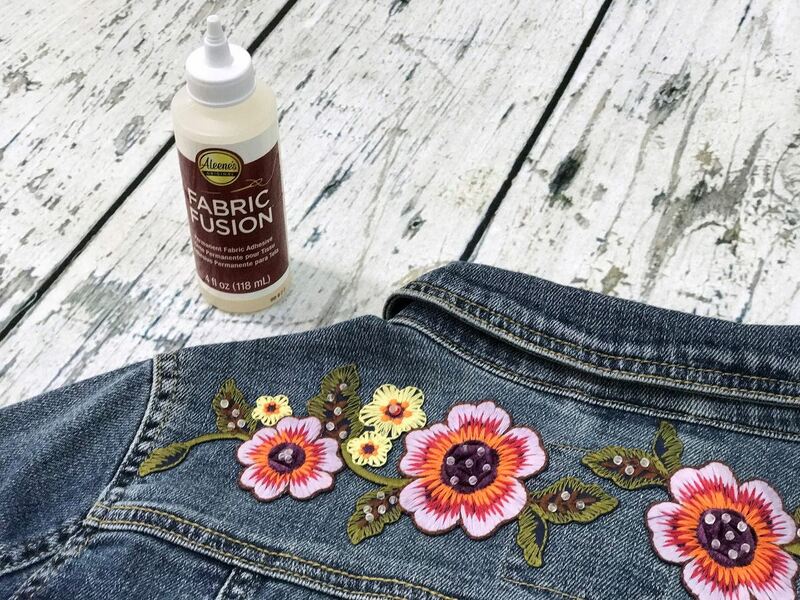 Once you know exactly where you want to place your appliqué you can add glue directly onto the jacket or the applique. Press down on the applique and let it dry 2-4 hours before washing.